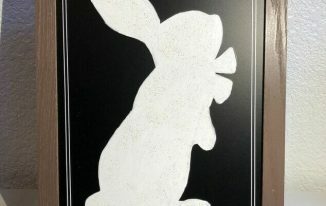 My daughter and I created a sign for the Easter Bunny years ago. It was time to update to a new one and also preserve the old one. Here is the original sign my daughter and I made. Over the years it’s ripped, been taped, re-glued, sun faded, etc. I found this door hanger at Dollar Tree and knew it would be perfect for the new sign. 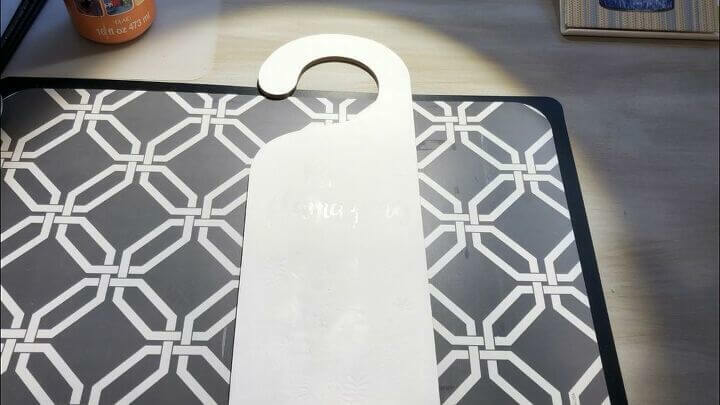 I painted the door hanger with Folk Art Home Decor Chalk Paint in white. It took 2 coats and I let it dry between coats. 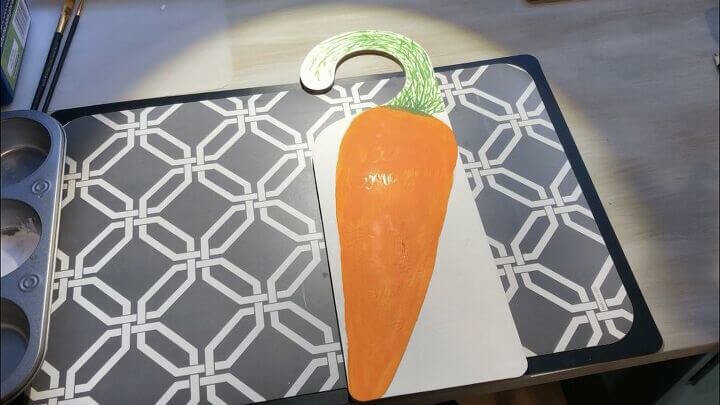 I used a pencil and made a carrot shape onto the door hanger. 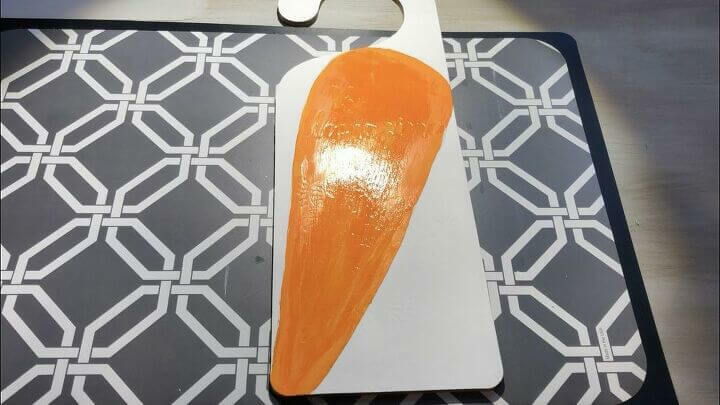 I used Apple Barrel orange paint to paint the carrot and I let that dry. 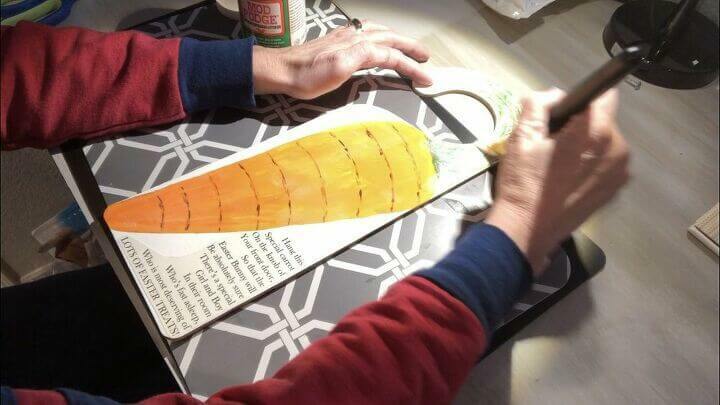 I used Apple Barrel green paint to create the carrot stem and I let that dry completely. I used Apple Barrel black paint and painted on the indents of the carrot and let that dry completely. To preserve the original sign my daughter made, I cut it to fit on the back of the door hanger keeping as much of the original as I could. 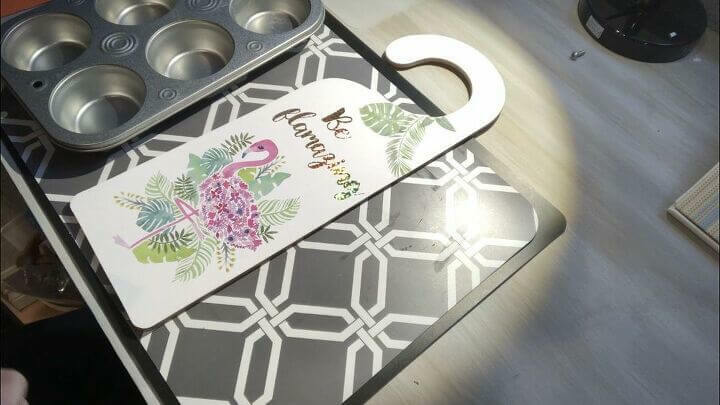 I painted Outdoor Mod Podge onto the back of the door hanger, placed the original art on top, gave it another coat of the Outdoor Mod Podge to seal it, and I let it dry completely. I printed the poem out on some card stock (poem listed below). 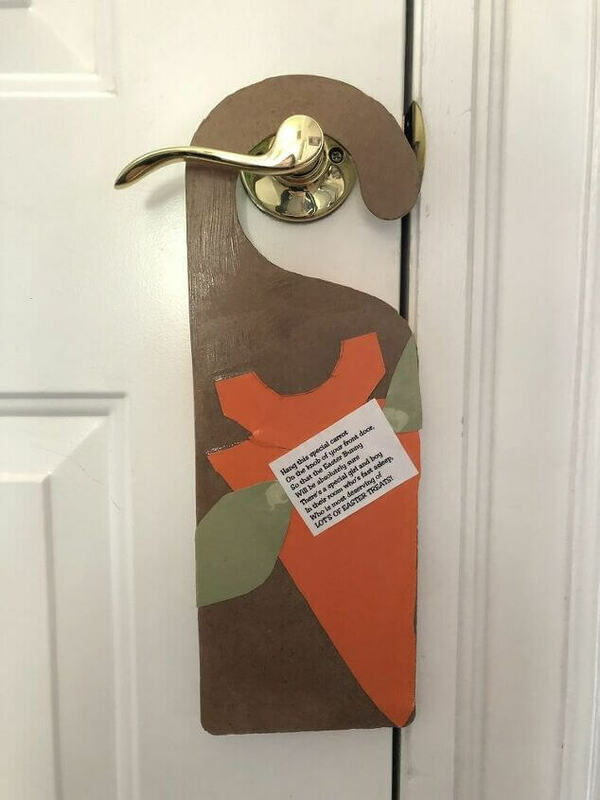 I painted Outdoor Mod Podge onto the front of the door hanger, placed the poem onto it, and then coated the entire door hanger with the Outdoor Mod Podge to seal it. I let that dry completely. Now I had the new sign on front and the original preserved on the back. My daughter is thrilled that our original sign is protected. 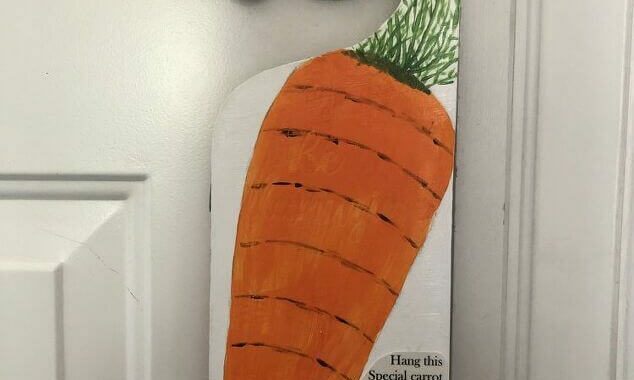 Hang this special carrot on the knob of your front door. So that the Easter Bunny will be absolutely sure there’s a special girl and boy in their room who’s fast asleep. Who’s most deserving of lots of Easter treats. 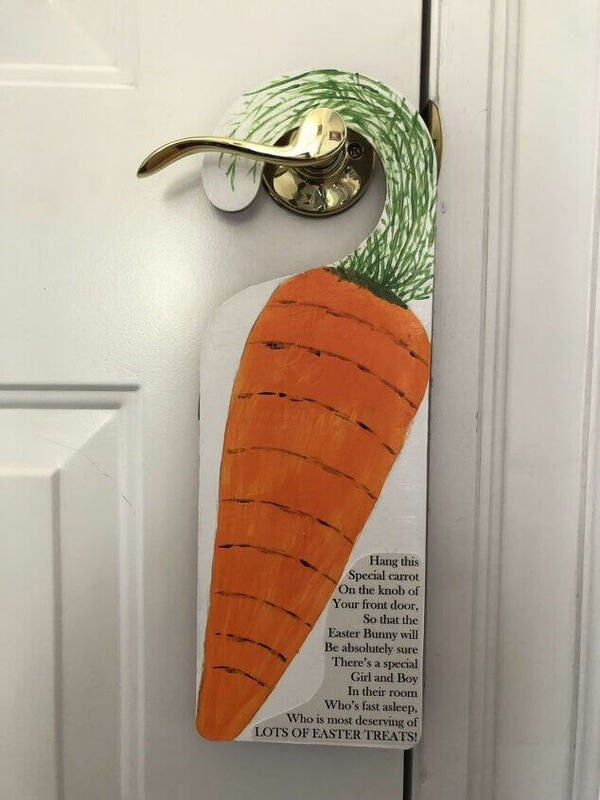 I just love the cuteness of this door hanger. I think it would be super fun to make with the kids. Thank you Kippi, and my daughter and I loved making it together when she was young. Great idea to do it with kids. That turned out really cute. Something I could probably accomplish. Found you on Blogger’s Pit Stop Link Party. Thank you so much Candy and thanks for stopping by. I LOVE THIS!!! What a wonderful and neat idea. 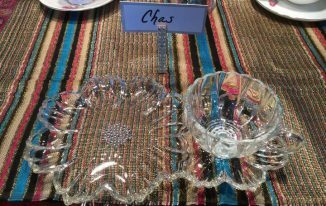 What a lovely tradition, Chas, and what a fun sign! Kids will love this! 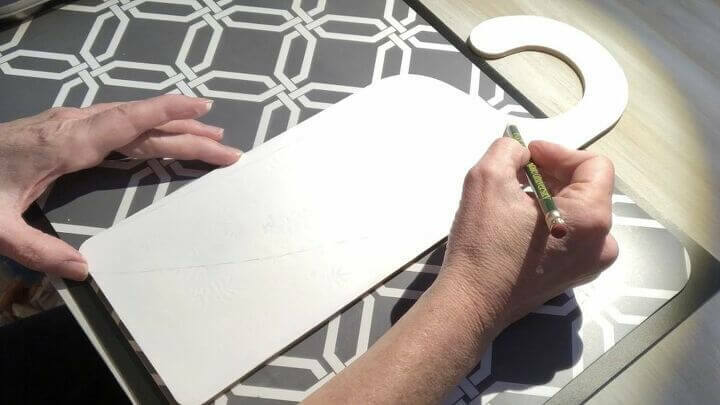 Thank you so much for sharing this post with the Hearth and Soul Link Party. 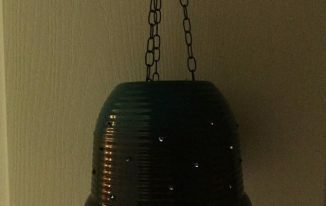 I’ll be featuring it at the party on Monday this coming week! Have a great weekend! 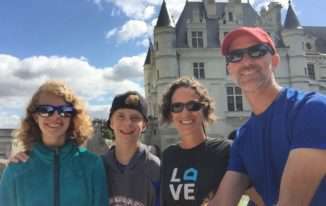 I love learning about other families’ traditions even tho my kids are all grown. 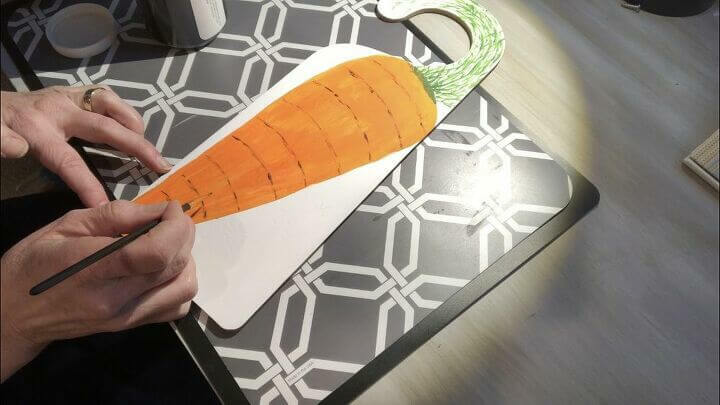 Your carrot is so cute–old and new! 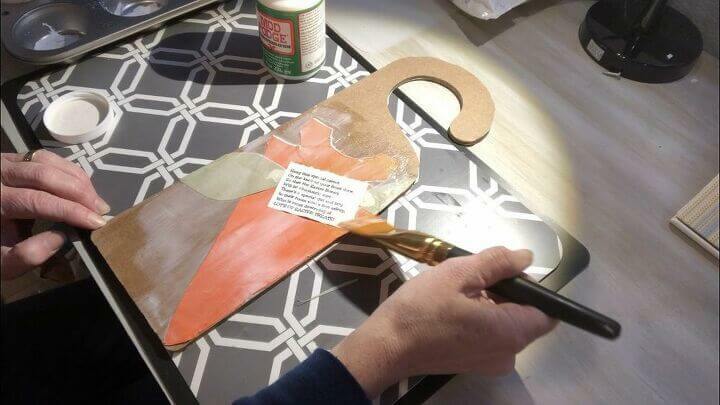 Would be a great project for my Sunday school girls! 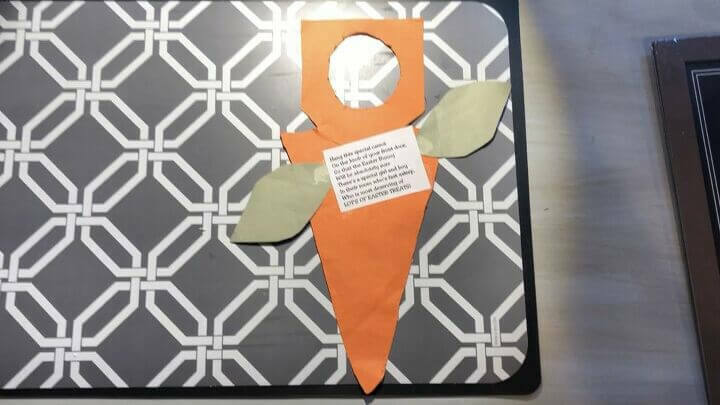 Thank you so much Kathy, and what a great idea to use it for your Sunday school class.